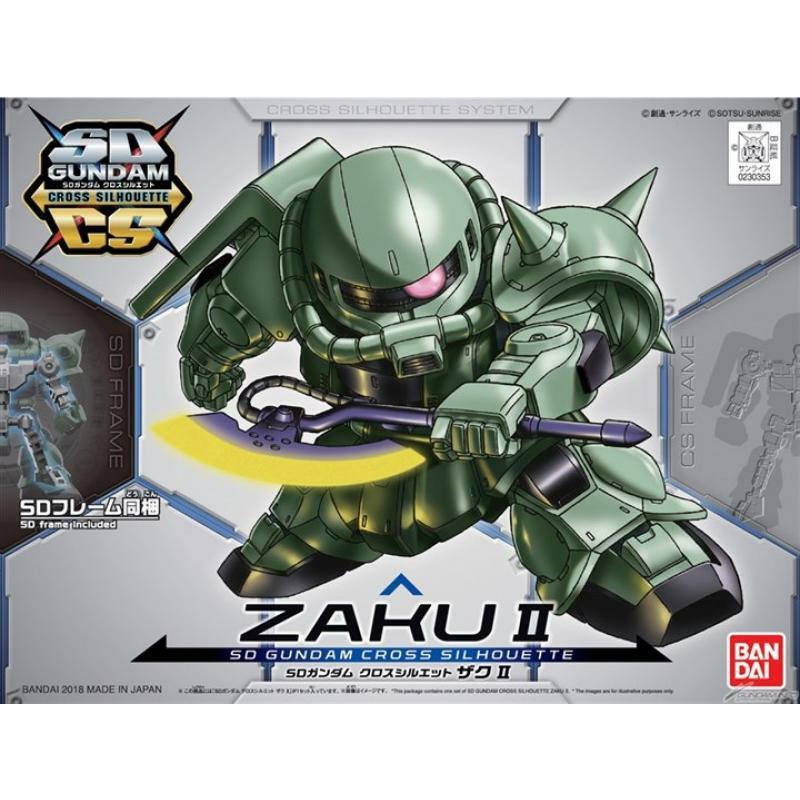 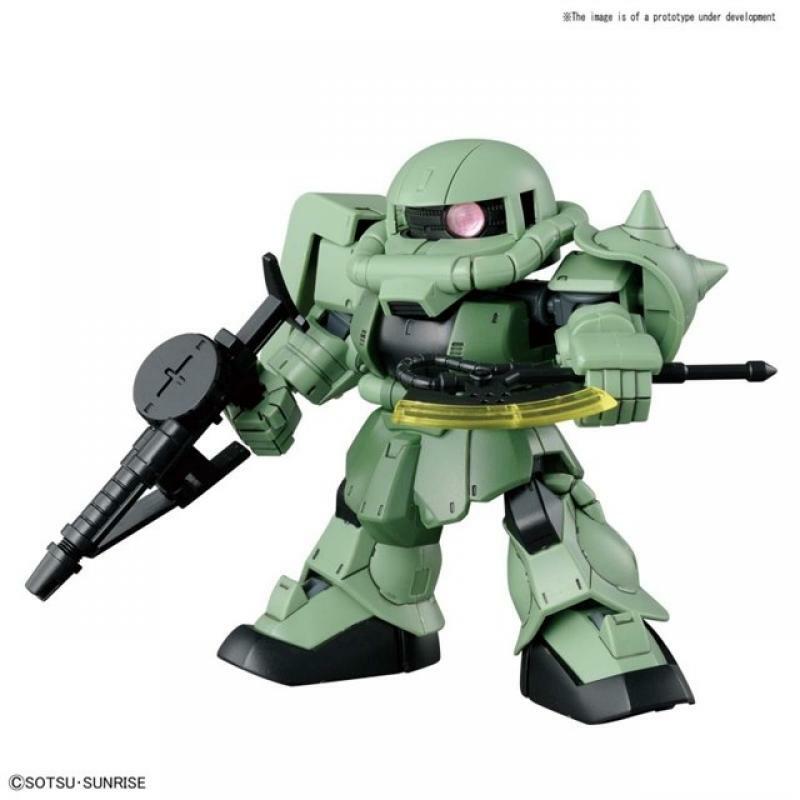 The Zaku II strikes! 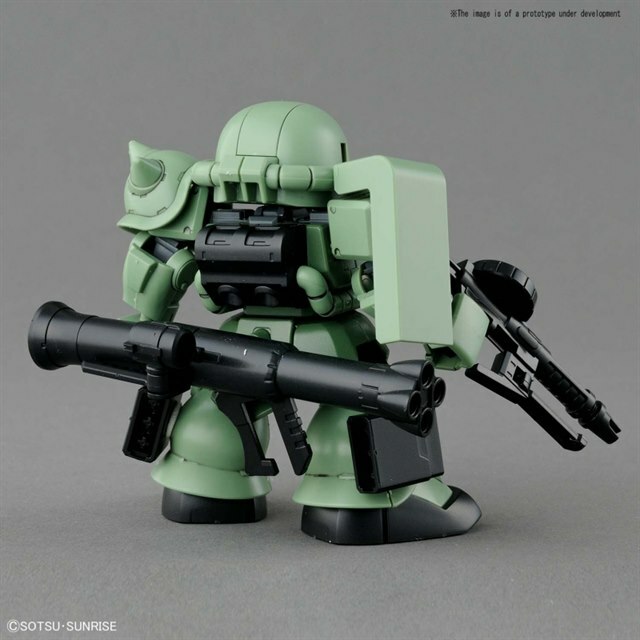 A mass-produced MS with an abundance of weapons is joining the SD Cross Silhouette series! 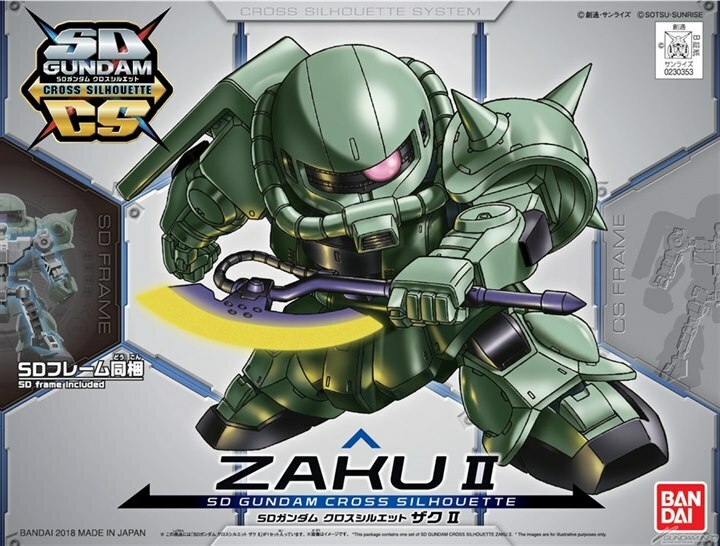 Utilizing a gray frame, the Zaku II can also combine the with BAN230354 CS Frame (sold separately) to allow for taller proportions! 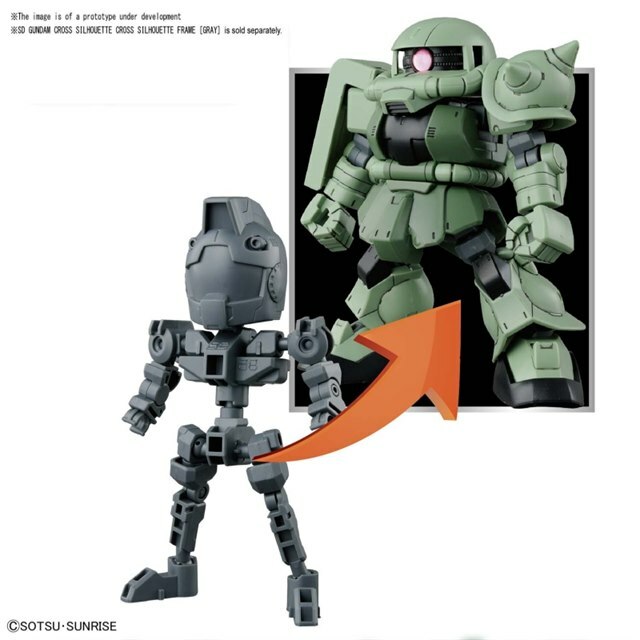 Clear parts are used on the mobile suit's mono eye and includes an articulation gimmick which uses a rail. 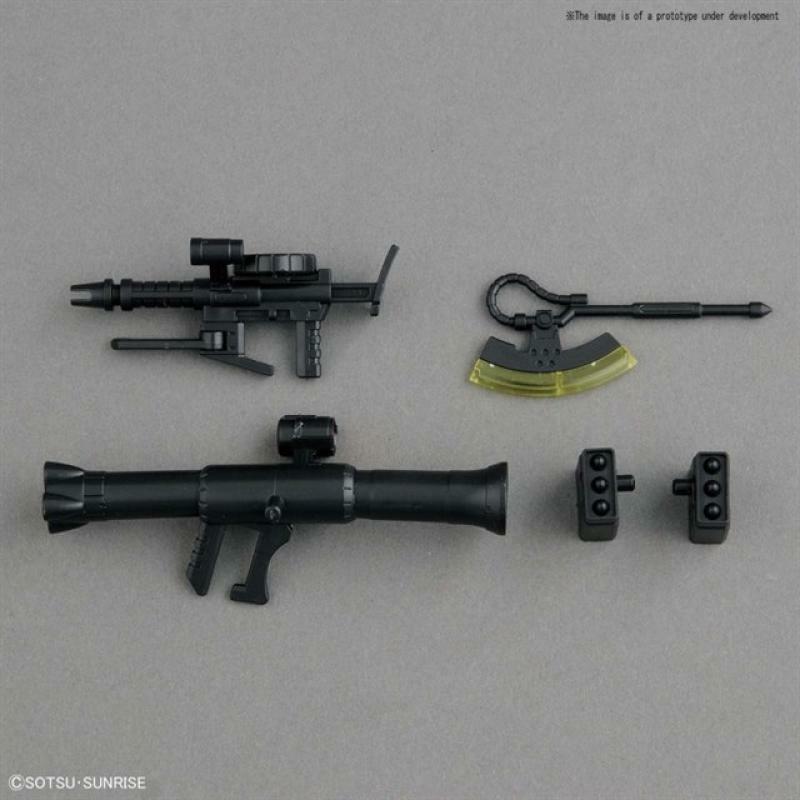 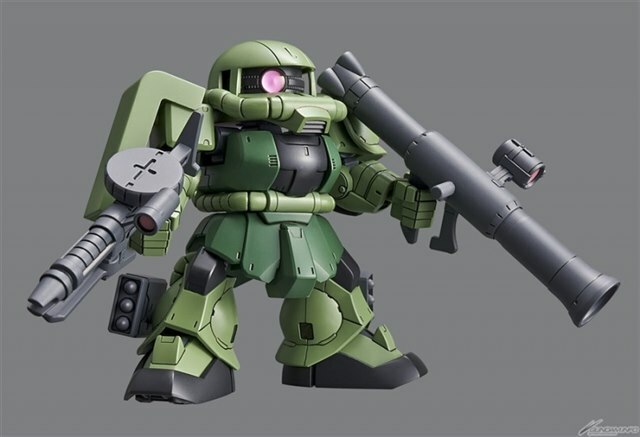 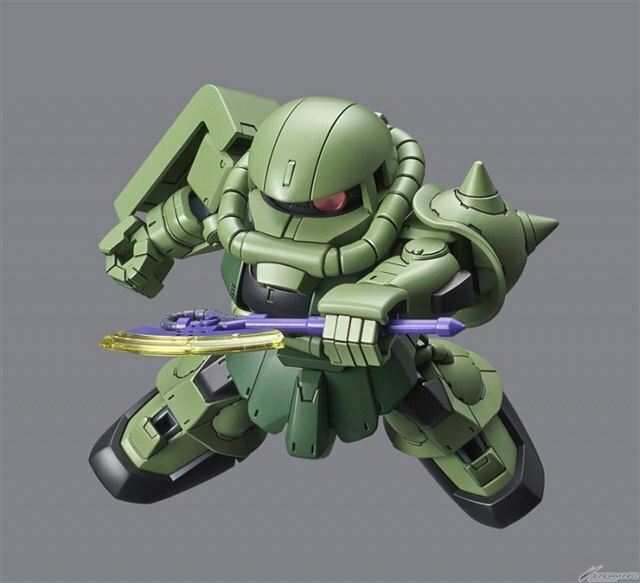 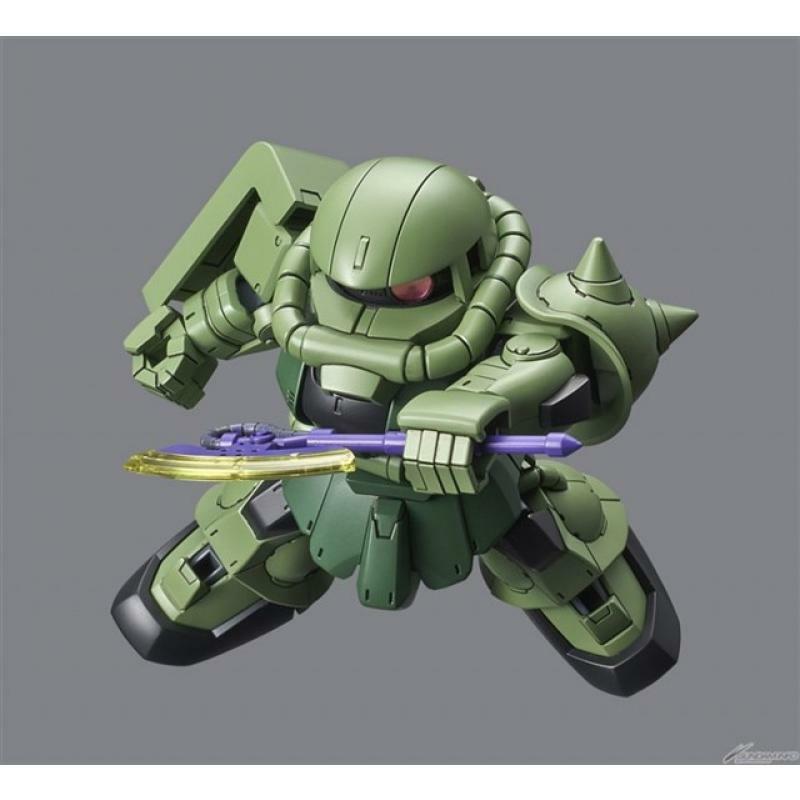 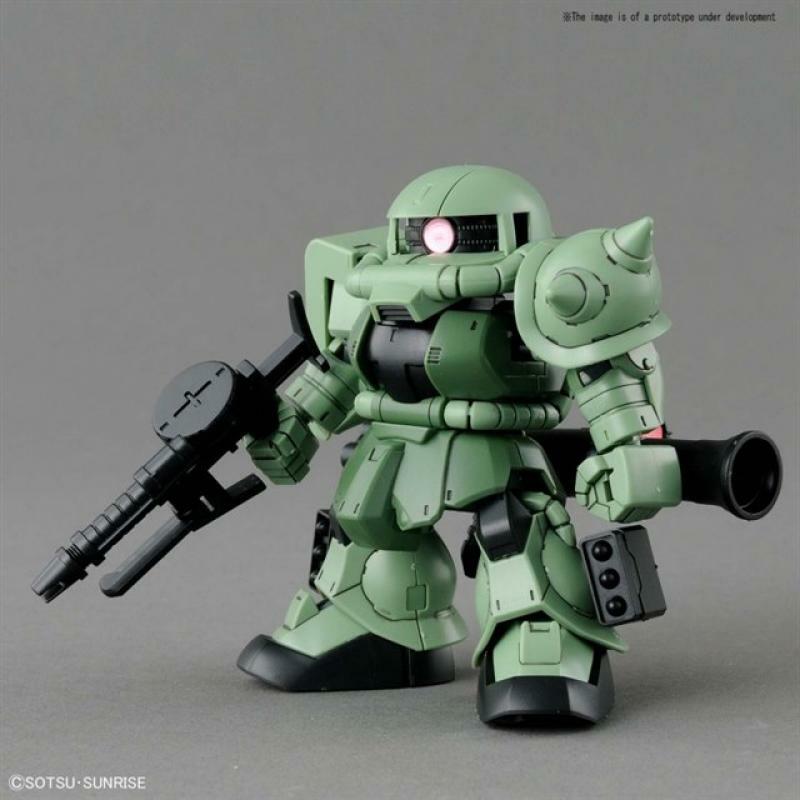 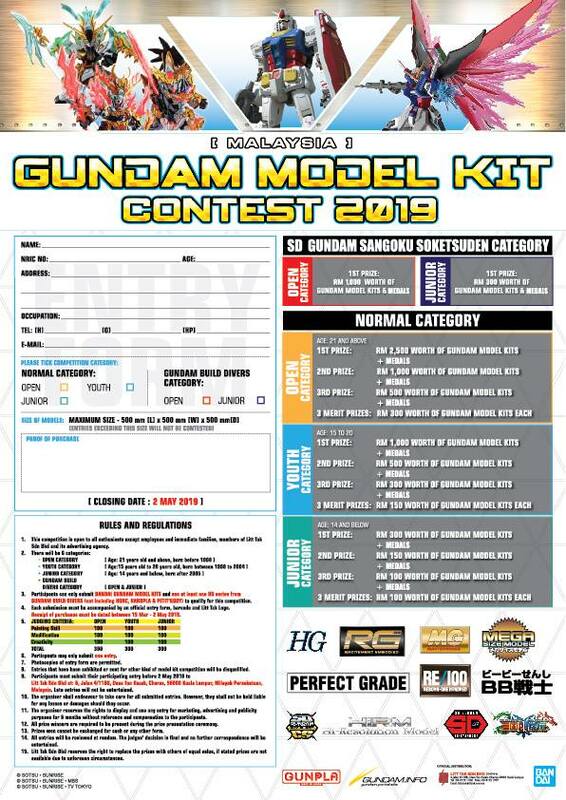 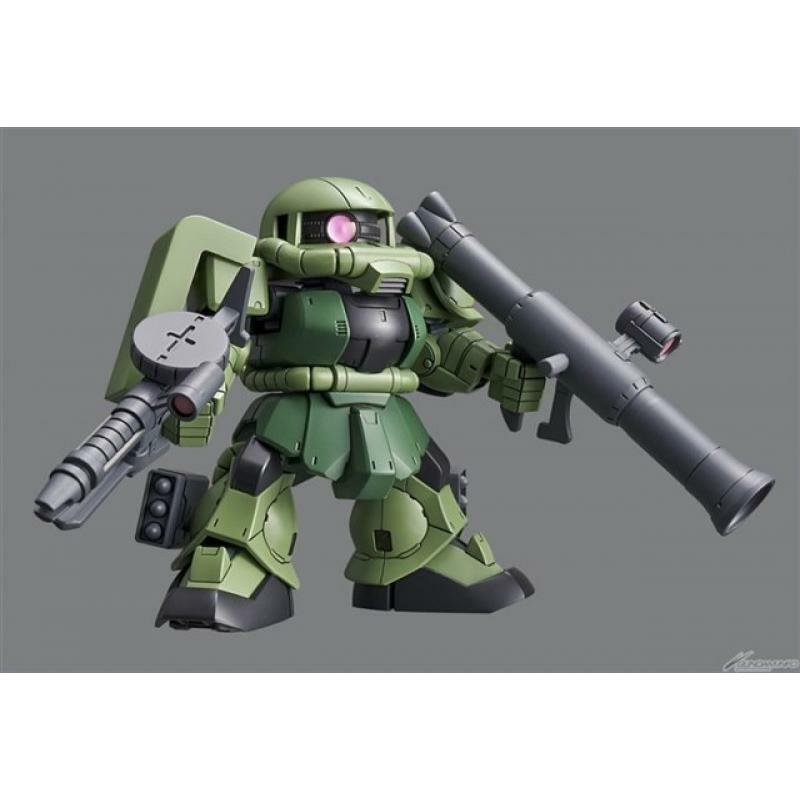 The iconic Zaku Machine Gun, Zaku Bazooka, missile pod, and Heat Hawk are all included!